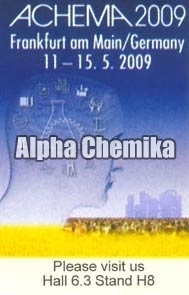 We had participated in ACHEMA 2009 held in Frankfurt, Germany, from 11 to 15 May 2009. Our Stall was at Hall 6.3 and Stand H8. 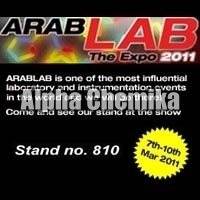 Our unique products and customer service received an immense response from customers around the world and are looking forward to have similar experience at upcoming event â��ArabLab The Expo 2009â��. We will exhibit to the next Analytica Anacon India 2011 which will be held from 12th to 14th October 2011 at Bombay Exhibition Center, Hall No. 6, Mumbai, India. Visit us at Booth No. C38. 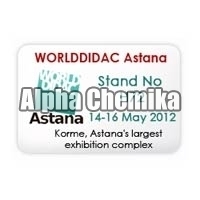 We will be pleased to welcome you in order to present our new products on our booth. 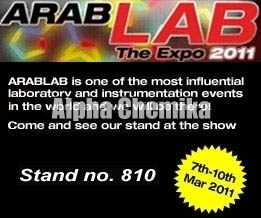 We had participated in ARABLAB The Expo 2010, held at Dubai, from 9th to 10th January, 2010 where we have received immense reciprocation from international buyers. Our Stall in the Expo was at stand no. 174. 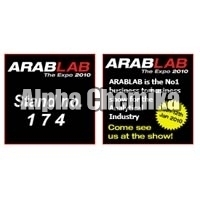 We had participated in ARABLAB The Expo 2011, held at Dubai International Convention & Exhibition Centre - Sheikh Saeed Halls 1, 2 et 3 (United Arab Emirates), from 7th to 10th March, 2011 where we have received immense reciprocation from international buyers. Our Stall in the Expo was at stand no. 810. 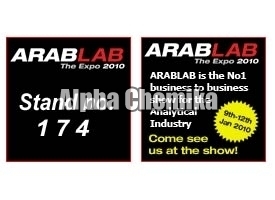 We had participated in ArabLab, the Expo 2009, the International Show for tomorrowâ��s technology, held at Dubai International Convention and Exhibition Center, from 10th to 13th January, 2009 where we have received immense reciprocation from international buyers. Our Stall in the Expo was at stand no. 757. 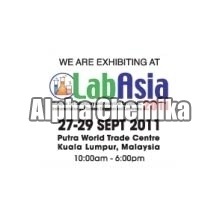 We will exhibit to the next Lab Asia 2011 exhibition which will be held from 27th untill 29th Sept 2011 to the Putra World Trade Center Kuala Lumpur, Malaysia. Visit us at Booth No. 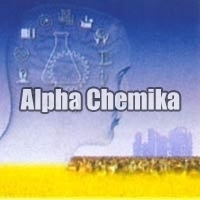 3C24. 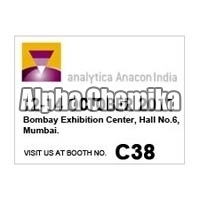 We will be pleased to welcome you in order to present our new products on our booth. 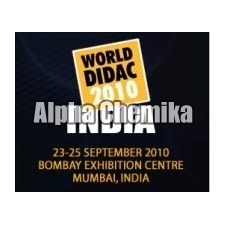 Thanks for the response at WORLD DIDAC INDIA 2010 which was held from 23rd to 25th September 2010 at Bombay Exhibition Centre, Mumbai, India. It was a great honor for us. 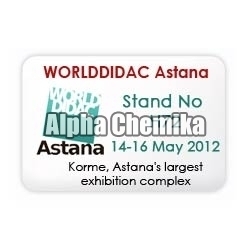 We will exhibit to the next WORLD DIDAC which will be held from 14th to 16th May 2012 at Stand No - H72, ASTANA, KAZAKHSTAN, EXHIBITION COMPLEX "KORME". 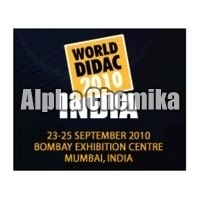 We will be pleased to welcome you in order to present our new products on our Stand.